If you asked Jesse, he'd tell you I eat some pretty weird food combinations... watermelon and feta, nutella and goat's cheese, mushrooms in tacos, peanut butter and everything.... but the first time I made this bowl of oatmeal I'm pretty sure he thought I'd lost my marbles. I'd been making lots of recipes with egg whites and therefore had a bunch of egg yolks sitting in the fridge, waiting to be turned into something - but I didn't feel like making ice cream or custard or pudding or a big batch of anything, really. It came time to make breakfast one morning and I didn't have any breakfast bakes to devour so I decided to make oatmeal - and when I was looking in the fridge for milk I noticed the egg yolks and decided to try my hand at making a healthy, custard like breakfast treat. In a small saucepan, add your oats and milk and heat over a medium-high heat. Meanwhile, add your egg yolk, vanilla and maple syrup to a small ramekin and set aside. When your milk comes to the boil, carefully add the hot milk to your egg yolk mixture one tablespoon at a time, stirring constantly to bring the mixture together. 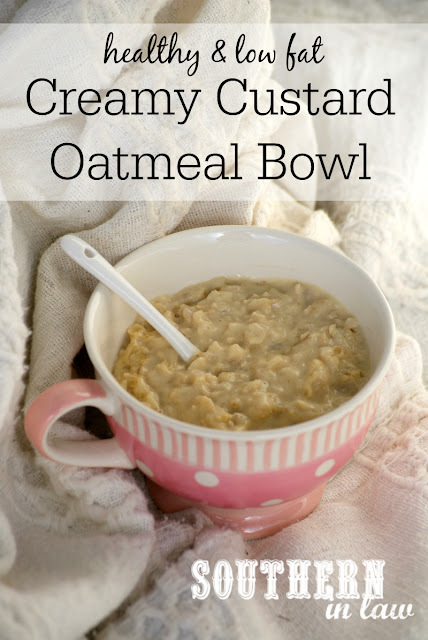 Continue adding hot milk to your egg whites a spoonful at a time or until your mixture is smooth and the egg yolks feel quite warm to the touch (you're tempering your egg yolks here so they don't clump and cook as soon as you add them to your oatmeal!). 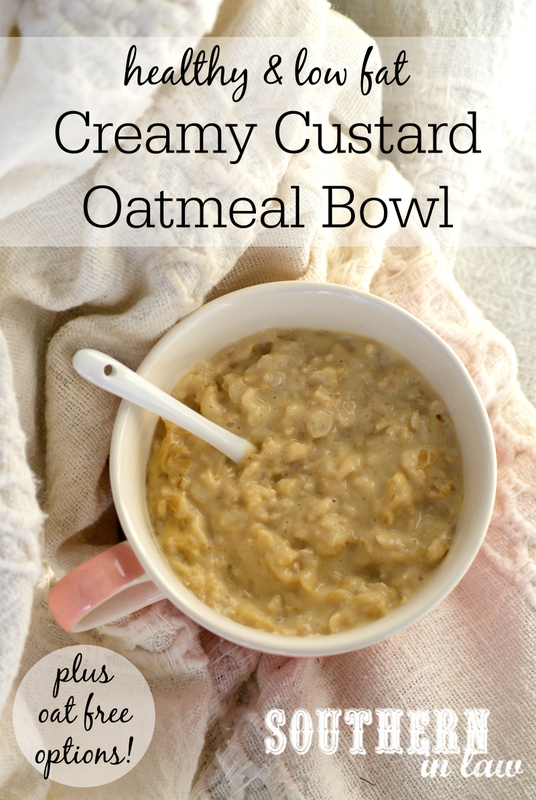 Add your hot egg mixture to your oatmeal, stirring to combine and continuing to cook your oats over a medium heat until thickened to your liking. Add your pinch of salt and extra sweetener, if needed, stirring to combine and then pouring into a bowl and serving immediately. 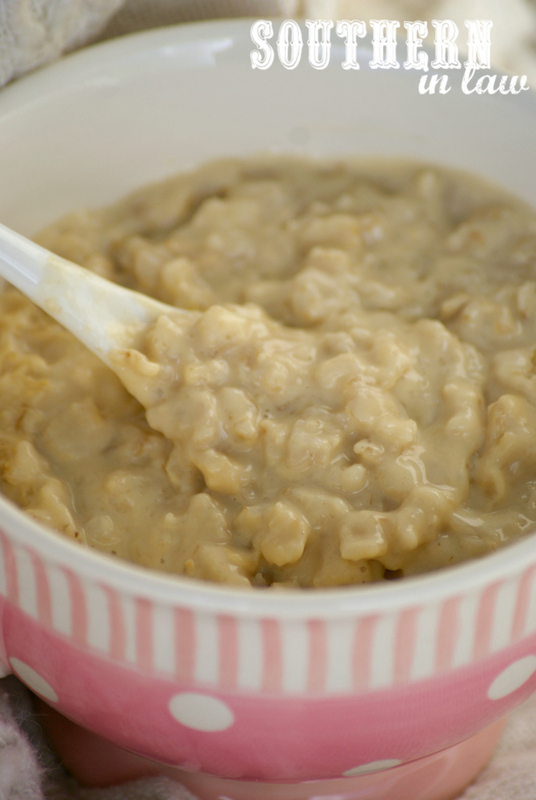 *Find out more about Oats on a Gluten Free Diet. If you can't tolerate oats, feel free to use quinoa flakes or your favourite gluten free hot cereal instead. Do know that obviously the flavour will be different, however, it will work! We love using Bob's Red Mill Gluten Free Mighty Tasty Hot Cereal and Creamy Buckwheat Hot Cereal as well. **Use more/less sweetener as per your tastes! But tell me, what are some foods/food combinations you love but others find odd? And what's one food you always seem to have leftover and can't find a use for? otherwise I'm just talking to myself! Oh wow!! This looks delicious! I'm always wondering what to do with the lone egg yolk that's leftover when I make a recipe that calls for an egg white - this will be perfect! Haha I never waste either! Even if it the scrap of bok choy bottom or celery tops, I use it! It is SO good! Definitely the perfect way to use those egg yolks!